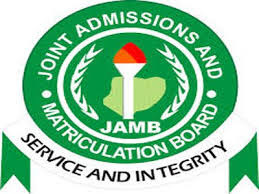 The Joint Admissions and Matriculation Board (JAMB) has fixed June 26 for the 2018 admission policy meeting to kick-start the admission process into the nation’s tertiary institutions. Dr Fabian Benjamin, the JAMB Head of Media and Information, made this known to the News Agency of Nigeria (NAN) on Monday in Lagos. Benjamin said; “The main reason for the meeting is to define all modalities for admission of qualified candidates into the nation’s tertiary institutions for the 2018/2019 academic session. “This kind of meeting is to give room for contributions as well as ensure fairness and equity in the conduct of the 2018/2019 admission process. “We are expecting in attendance all heads of tertiary institutions across the country. “We shall be convening this meeting, for the first time, in the South-West, Osun precisely. “All the South-West governors have been invited coupled with other critical stakeholders. “To ensure that there is no misrepresentation of facts or information, there will be a live coverage of the meeting on NTA from 11:30a.m. to 1:30p.m, so that Nigerians can follow the proceedings,” he said. Benjamin said that in addition, Nigerians would also be able to get first-hand information on how the admission would be conducted, especially the requirements needed. He assured Nigerians that the board would continue to ensure it brought on board innovations and reforms that would give the candidates an edge over admission process challenges. “Our determined objective is to ensure that every prospective candidate is treated fairly and equally under a transparent platform. “We will also continue to strive to open up the space for healthy competition. “As it was done in 2017, this year’s admission process will also be conducted through the Central Admission Processing System (CAPS). “This system eliminates all human interference in the admission exercise, where candidates are selected purely on the basis of defined criteria,” Benjamin said.